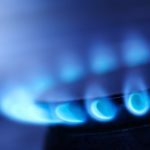 Natural gas supplies this winter should be adequate for the needs of Southern California residents and businesses, despite earlier fears about shortages resulting from the shutdown of operations at the SoCalGas Aliso Canyon storage facility. That’s the conclusion of a 41-page report prepared jointly by the California Public Utilities Commission, the California Energy Commission, the California Independent System Operator, the Los Angeles Department of Water and Power, and Southern California Gas Co. 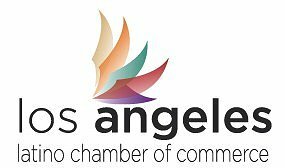 The study assessed the risks to energy reliability in Southern California during the coming winter months resulting from the loss of the Aliso Canyon natural gas storage facility. The facility was taken offline down for an indefinite period after a months-long leak forced the evacuation of about 8,000 households in nearby the Porter Ranch community. SoCalGas is currently testing all 114 wells at Aliso Canyon. According to the report, gas supplies would probably not be adequate to completely meet demand on an especially cold day – a day that would be the coldest expected once in 10 years,. Demand during this kind of extreme cold snap would be about 5.2 billion cubic feet per day, about 10% more than the 4.7 Bcfd the Southern California gas pipeline system can deliver. Residential heating accounts for about 60% of wintertime demand for gas. To meet system requirements on a 1-in-10-year cold day, supplies to business customers might have to be curtailed, the report indicates. Even on a 1-in-10-year winter peak, however, electric reliability would be maintained. The Southern California gas transmission system supports 21 million customers in a 20,000 square-mile service area. SoCalGas has four storage fields that connect with its transmission pipelines: Honor Rancho, La Goleta and Playa Vista in addition to Aliso Canyon, which is the largest. San Diego Gas & Electric has no storage fields. When fully operational, the four storage facilities have a combined inventory capacity of 135.6 Bcf, an injection capacity of 850 MMcfd, and a withdrawal capacity of 3,680 MMcfd. Aliso Canyon has an inventory capacity of 86.2 Bcf, injection capacity of 413 MMcfd, and withdrawal capacity of 1,860 MMcfd.